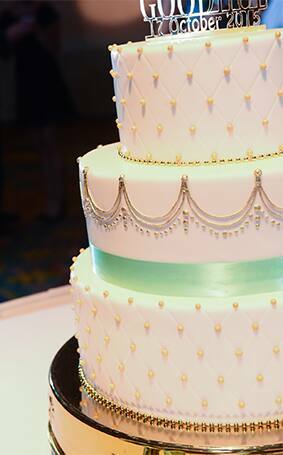 Perfectly delicate and savory in every way, this Wedding Cake Wednesday I present to you a 3-tier confection you're sure to love. 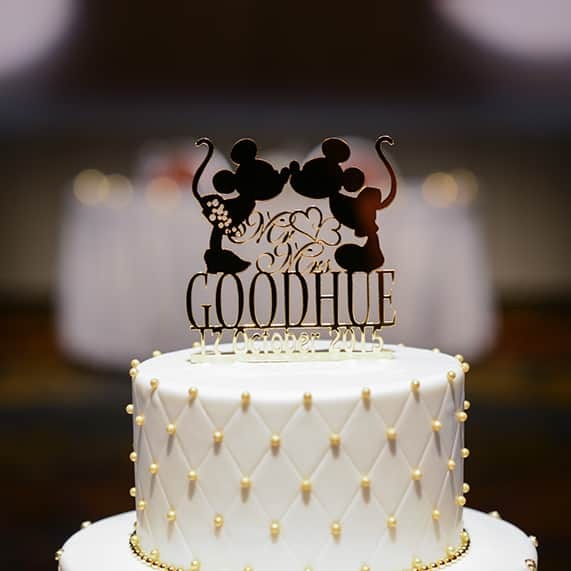 From afar this sweet gem may look like your classic Disney's Fairy Tale Wedding cake with a signature metallic Mickey and Minnie Mouse cake topper, but when you look closely you'll find this beauty is dressed in intricate gold details that make it a charming fit for a regal affair. 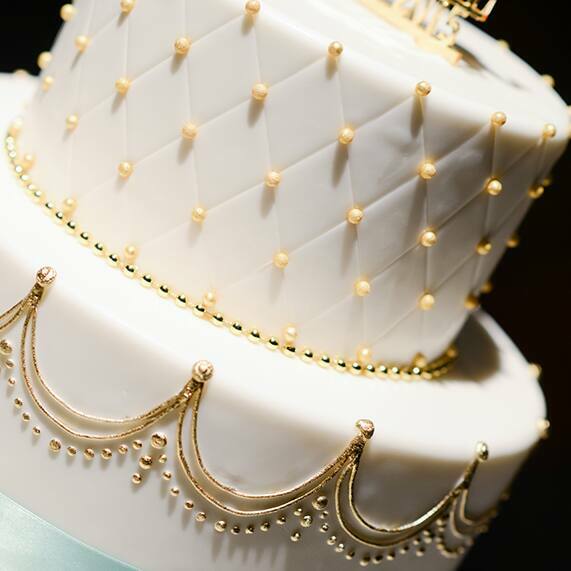 Top it off with a dainty ribbon and voila! 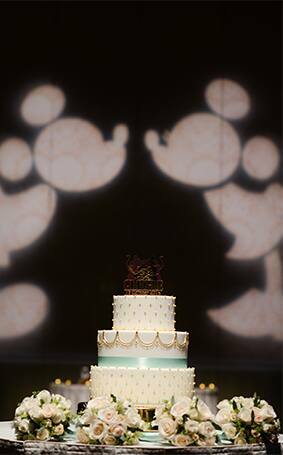 A cake made in mint green heaven.